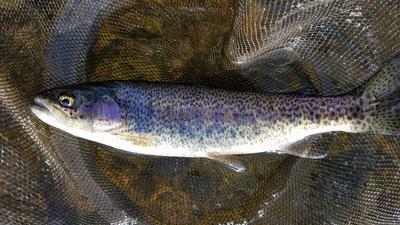 I received this rod a few weeks ago and went out to a local tailrace which is stocked in the winter months with trout. Excellent rod for it's length, 4.5 meters, and it weighs less than 2.5 ounces. 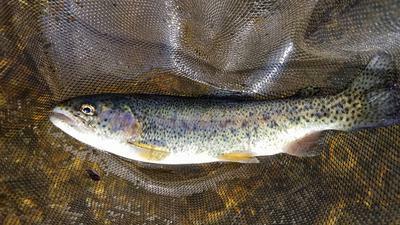 Handled the trout I was catching with ease and casting a 3.5 level line was just as easy. Looks like you had a lot of fun! The first fish on a new rod is special even if they are planters. 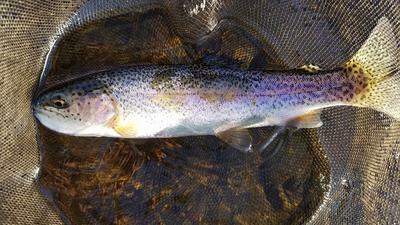 I still remember clearly the first fish I caught on a fly when I was 7 in the Black Hills of South Dakota; the first trout I caught on a fly rod at 17 in Montana; the first trout I caught on my first tied fly at 24 in Oregon; and my first Tenkara trout in Idaho at age 63! I don't count numbers of fish anymore, but in my first year (quarter year really) bass have been my dominate species followed by sunfish and then trout. Tight lines in 2017! My mom has the same rod. I love the thing. Most of the time, I'd prefer my 5.4m version for the better fly control, but it does get heavy after a while. The shorter one feels wonderfully light. 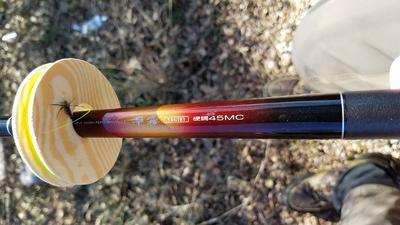 In essence, the longer rod may catch more fish (in big enough water), but the 45 is more fun.